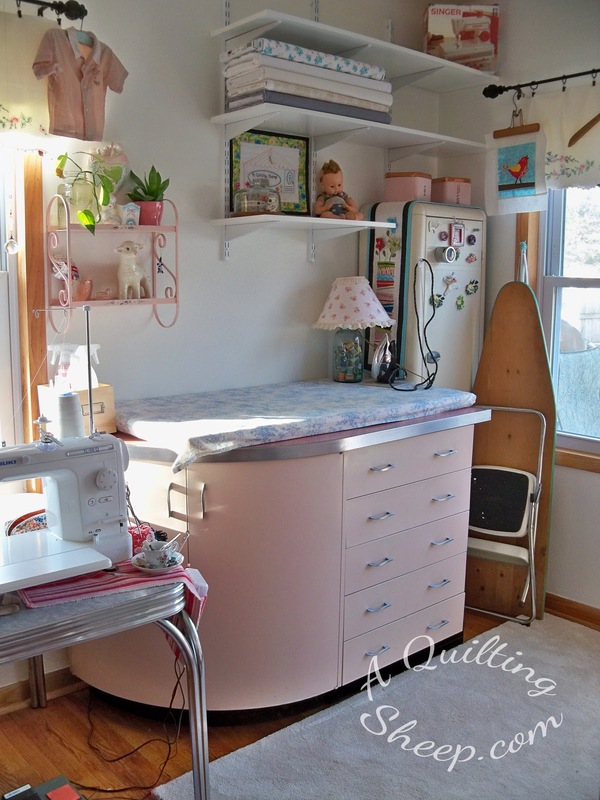 A Quilting Sheep: Swoon Finish!! Finally got some decent pictures! Gorgeous! Is that a pale pink background fabric? 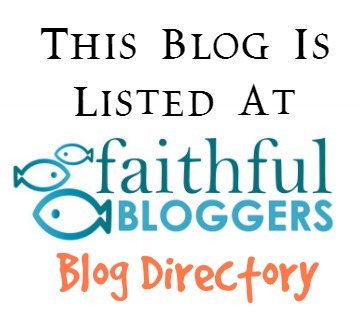 If I didn't have so many other projects going I'd run in there right now and start Swooning! 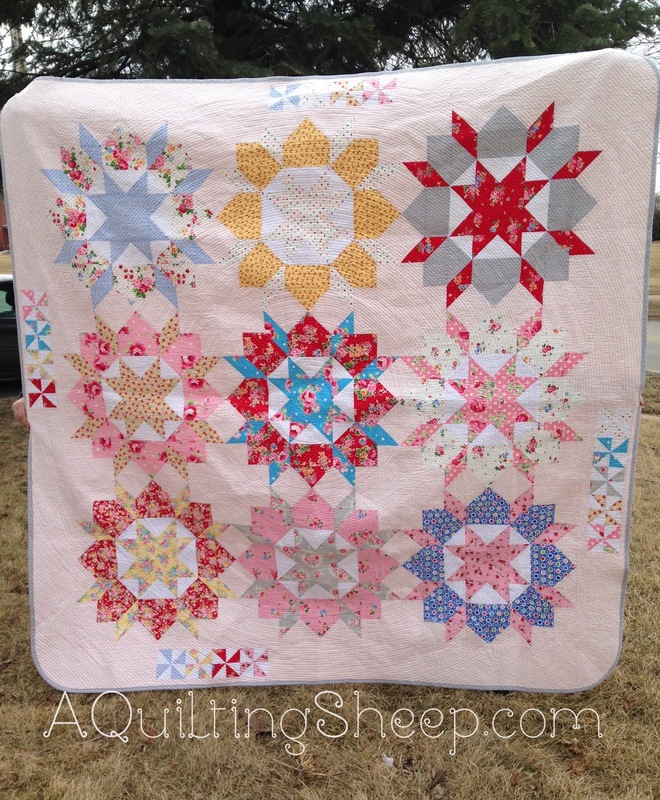 Your swoon quilt is spectacular, I love the fabric you used in your blocks!! Yay for a win from the FQS!! Sweet of you to make a quilt for your friend!! Stunning! Love the fabric choice, and love the pinwheels on the border. Great job! I'd be horrible about a secret or surprise. Good luck with that. Awesome quilt and the quilting as well. That is just so gorgeous!!! Love the rounded corners too. Swoon certainly is a timeless pattern. Sew pretty! 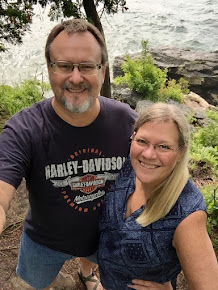 Just said a prayer for your friend, Judy. I will keep your friend in my prayers. Your quilt is just gorgeous. Congrats on your win my dear. How awesome is that. You are such a sweet friend. That is the prettiest swoon I've ever seen! Amazing! Your quilt turned out great, I love the colors you chose! Stunning quilt. 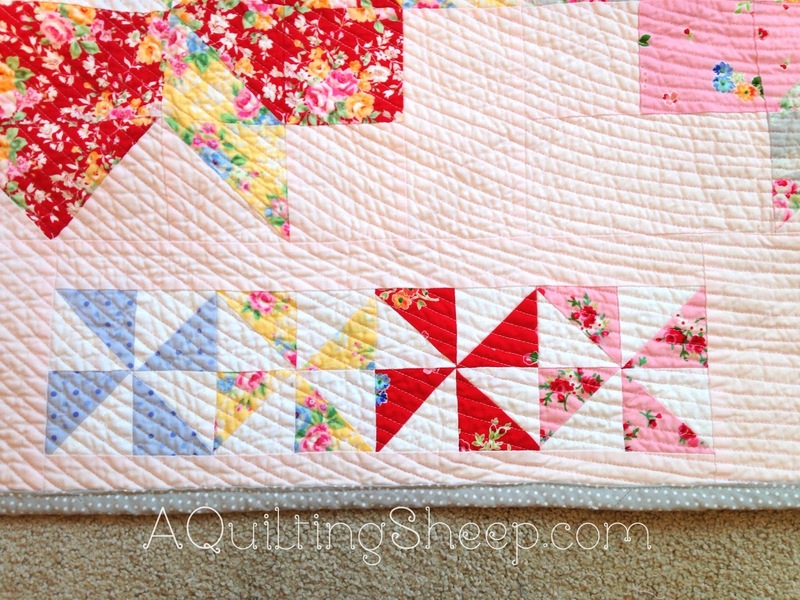 Love the fabrics, and the quilting and the pinwheel border. Lovely job. I love the pops of red in the quilt. They add so much to the design. I also love the way you quilted it! Looks like an heirloom quilt. Amazing, Amy! Very pretty swoon! Love the spiral quilting. You pulled it off like a pro! I will be keeping Judy in my prayers. 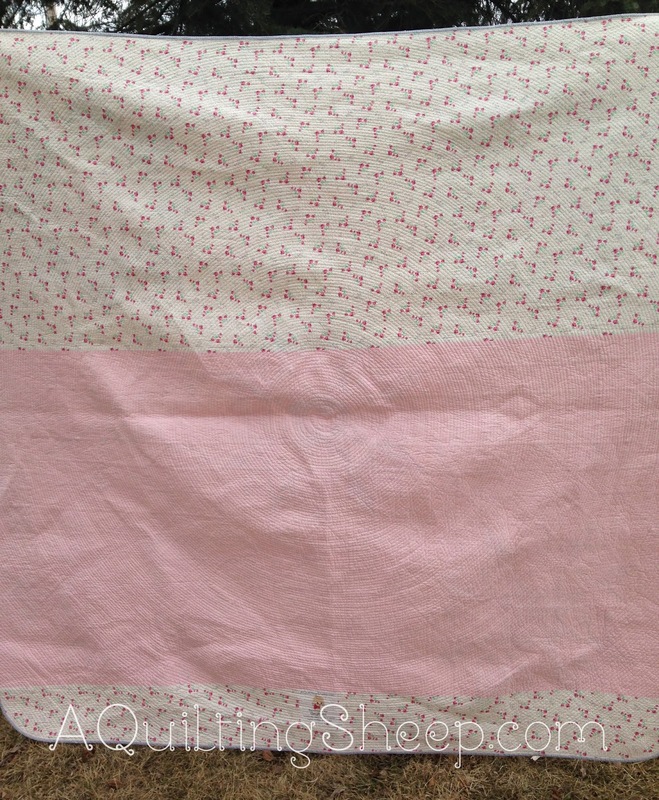 Loving the swoon quilt... It's such a happy bright quilt. Makes me smile! OHMYGOSH that's the best swoon quilt I've seen so far. 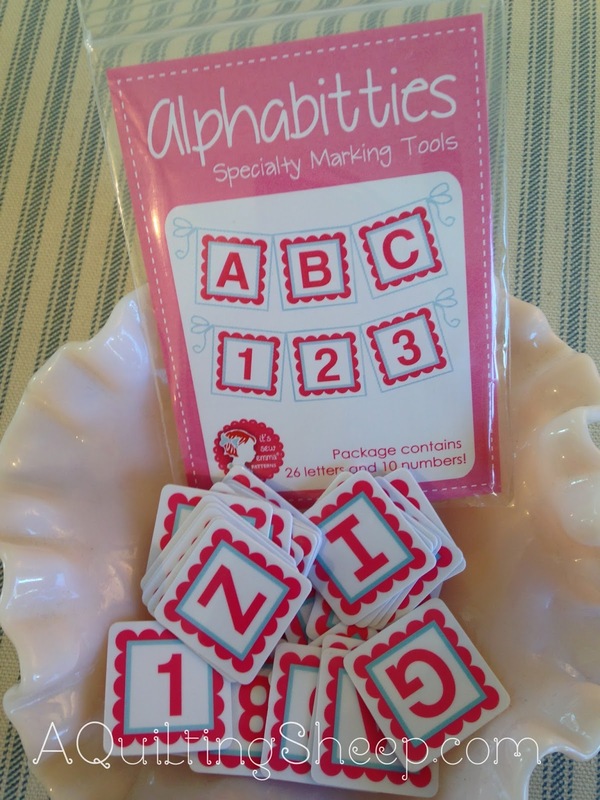 Love the curved corners and the pinwheels! Very clever! LOVE this Swoon! I have admired the pattern for a long time(and bought it and still have to make it) must say that I loooove your version, it is gorgeous! Well done on your gorgeous quilt! Gorgeous gorgeous finish Amy! I love it so much. 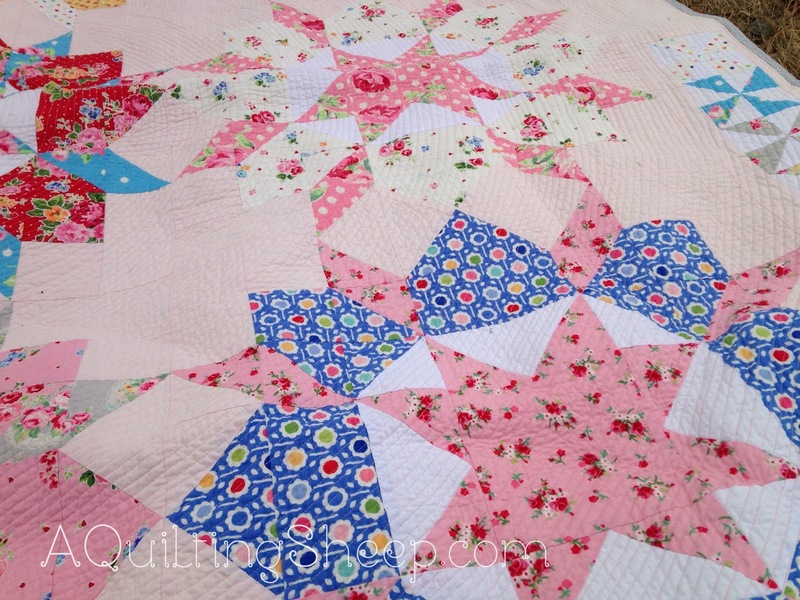 I love the pinwheels and the rounded corners and the quilting and the blocks! Sweeeeet! Such a happy happy quilt!